Retired Navy SEAL Commander “Kip” Hendricks has one mission in life – stop terrorism. Kip and his team, arrive on Hartz Island located in the San Juan Islands in Washington State, to monitor cargo ships arriving from Indonesia, suspected of smuggling young jihad terrorists. All the ships must pass Hartz Island as they head to their Pacific Northwest ports. Holed up at Eagle’s Nest Lodge, the joint task force of Americans and Canadians strategize their mission. Out on the waters, tracking the ships, Kip and his team discover unusual activity surrounding the islands and specifically Hartz Island. What appears to be an innocent out-of-the-way island isn’t! After the murder of her Seattle police officer husband, Jeannie Rogers followed her dream and opened The Ferry Dock café on Hartz Island. Now she is at a crossroads in her life. Her CPA brother wants her to sell her failing café before she is left with nothing. Trying to make ends meet, Jeannie gladly accepts the week-long catering job at Eagle’s Nest Lodge. Unbeknownst to her, this week would be a pivotal point in her life, but also Kip Hendricks. The San Juan Islands melt into the Gulf Islands of British Columbia, attracting eclectic residents, like Montana Worthington; free spirit thinkers, but also those who like to live outside the law. Unsolved mysteries continue in the San Juan Islands in Washington State. 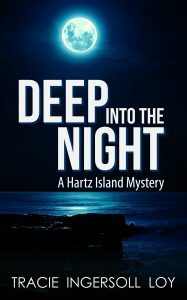 Special Investigation ICE Agent Jack Wyatt returns to Hartz Island enlisting the aid of his former Navy SEAL boss, Kip Hendricks. Jack is convinced the increase in human trafficking in Seattle and on the west coast is being routed through the San Juan Islands from Victoria, British Columbia. On the run from her ruthless Russian Mob boyfriend and his associates, actress Cassie Ryan escapes Los Angeles. 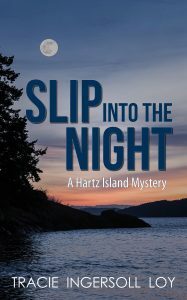 The only place to hide is at her childhood summer home on Hartz Island in Washington State San Juan Islands. On the run, Cassie discovers hidden financial accounts that puts her harms way. The mob is looking for her, and who else? Hartz Island’s local psychic Montana Worthington continues to interfere with on-going investigations, focusing on the minister’s wife and her dalliance who is supposedly on the island to write the Great American Novel! The Ferry Dock cafe continues to be the beehive of the island, dishing up everyone’s favorite baked good but also masterminding relationships.